The Inflatable Royalty Crown is a fun item to get for birthday parties and celebrations. This fun crown can be a great little gift for the birthday boy or girl, but can also be a funny party gag gift for an adult birthday party. The inflatable gold crown features star accents for a nice touch. Who wouldn't want to be crowned as king or queen for a day? Order your Royalty for the Day Inflatable Crown today! Top off your little prince with our Glitter Birthday Prince Party Hat! 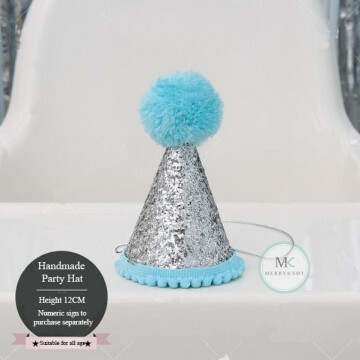 This dazzling party hat features a silver glitter base with a blue pom-pom top and blue trim. Customize it with the numeric glitter that are sold separately. 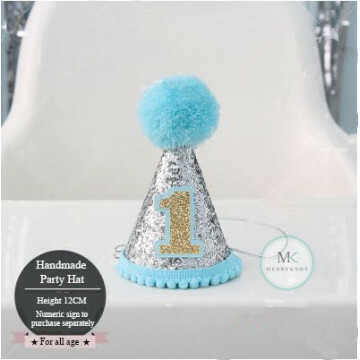 Customize your little prince's party hat with the numeric glitter! 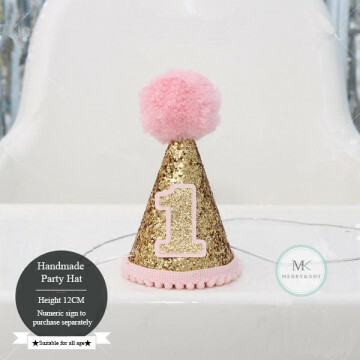 Customize your little princess's party hat with the numeric glitter! Get ready for birthday fun! Dress everyone for the occasion with our Birthday Party Hats. 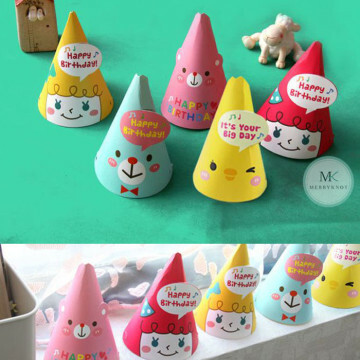 These classic cone-shaped hats feature various cute characters and "HAPPY BIRTHDAY" headline.